The Star Social Firm is a rigorous quality standard designed to enable staff and customers to recognise high quality Social Firms. Social Firms UK believes that a quality standard is an essential part of developing quality businesses that can promote their products and services with confidence. Star Social Firm is externally validated and acts as an independent stamp of approval for both prospective staff and potential customers. It can demonstrate accountability through the use of a well-recognised quality system. The Standard offers a recognised benchmark of an organisation’s employee management to external bodies as well as making an internal commitment to its staff. Star Social Firm covers an extensive range of requirements. Awarding of the standard is recognition of good practice for a Social Firm business with good business and management practices. It recognises management systems that support efficient working, more effective planning and more effective monitoring and evaluation systems. As with other standards such as Investors in People, the Star Social Firm will require time and effort for organisations to attain. It is a quality standard developed for the Social Firm sector, i.e. only one particular type of social enterprise. Whilst the development of the process offers an opportunity for the standard to be adapted to the specific criteria of other social enterprises, it is restricted at present to the Social Firm sector. Star Social Firm is a quality standard designed to reward and acknowledge those genuine Social Firms that meet the criteria. The Star Social Firm is very different from the Third Sector Performance Dashboard, which is a generic performance management tool. Who can use Star Social Firm? Any Social Firm that is interested in attaining the quality standard can express their interest via Social Firms UK or SFEDI (Small Firms Enterprise Development Initiative, see www.sfedi.co.uk). Members of Social Firms UK are offered free help and support with applications to become a Star Social Firm. Achieving the Star Social Firm requires the support and commitment of all staff and the board of an organisation. 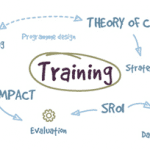 Assessors, working within the Social Firm sector have been trained to a high standard by SFEDI. Social Firms who meet the Values-Based Checklist, and have two years’ accounts should consider applying to become a Star Social Firm. Although time will need to be spent ensuring the application questions are fully answered, well run Social Firms will not find the assessment for the Star Social Firm onerous. Assessor visits will be between half and one day depending on the size of the organisation and the number of sites from which it operates. In obtaining the Star Social Firm, Social Firms UK will offer support to members and will work with them to assist them in deciding whether they are ready to apply. In developing the Star Social Firm, Full Members of Social Firms UK (i.e. emerging and full Social Firms) were consulted and, through a pilot, were fully involved in the development of the standard. Social Firms UK identified SFEDI as the appropriate standard-setting body to work with on the creation of the standard. People were recruited from the Social Firm sector to become trained Star Social Firm Assessors and underwent a full training programme with SFEDI.